G’day Surfers – nice to be free trading our Swing & Relax strategy as we enter another day “at the beach”. I see a great day for surfing ahead with news at a minimum and trading opportunities in our sights. Sentiment today however is mixed and a little tricky. The big picture is screaming “long” at me as price action again enters my bullish channel after a second false breakout. The pivots are telling me “trade with caution” as DP gets snagged between WP & MP, producing mixed signals and a potential change in direction. I have been a little extravagant with my analysis today by keeping all my lines from yesterday intact, despite the fact they have had minor violations. My resistance and support trendlines have been twice broken, yet I like them both as areas of acceleration and therefore hot spots. Price action is breaking to the north wildly as I write this so my support trendline may need removing. Therefore – where I would normally have hot spot on this line – I am leaving it out. So there’s a lot going in at price action point, yet the market remains range bound as per yesterday’s daily brief and really is not trending. I do see opportunities however but stakes need to be small and TP1’s very tight if we are to value our capital. 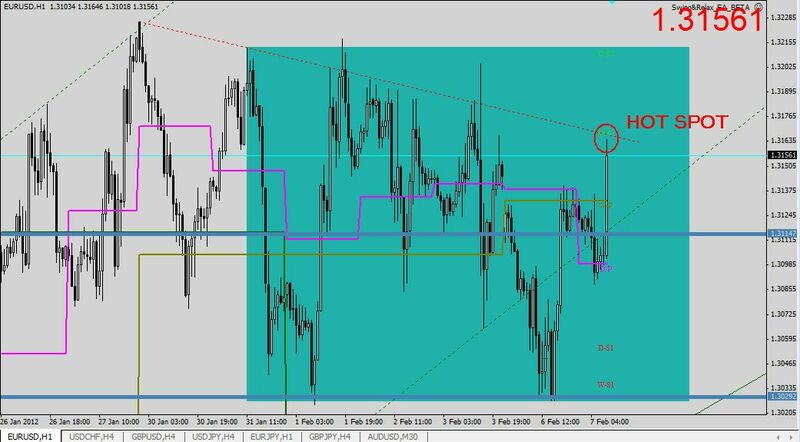 I have no over riding sentiment and am happy to free surf on H4 until a AAA setup presents itself at our hotspots.